RWS Superdome 8.3 Grain 0.177 Caliber Pellets | Replicaariguns.ca | New Website! Comments: The RWS Supderdome has the so-called English bulldog design with a round head and a rifled skirt. 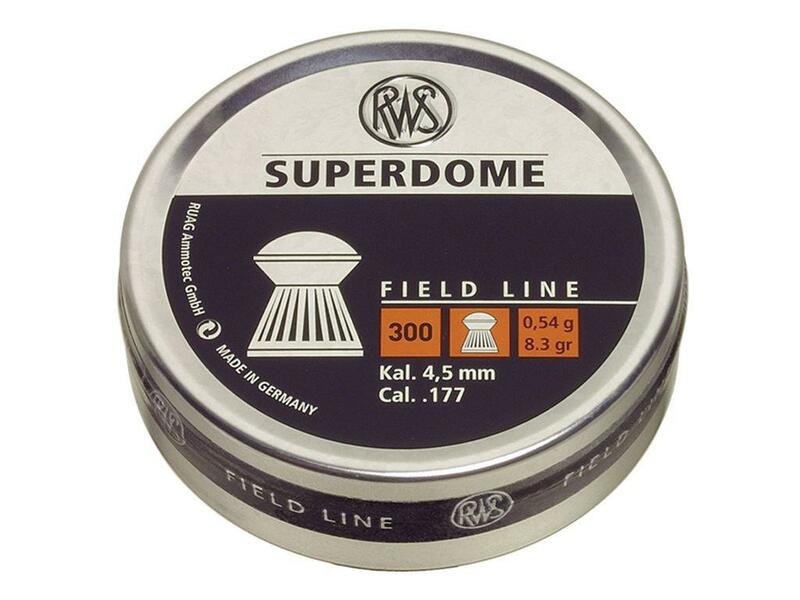 The Superdome pellet has the typical German quality features of all RWS airgun pellets. 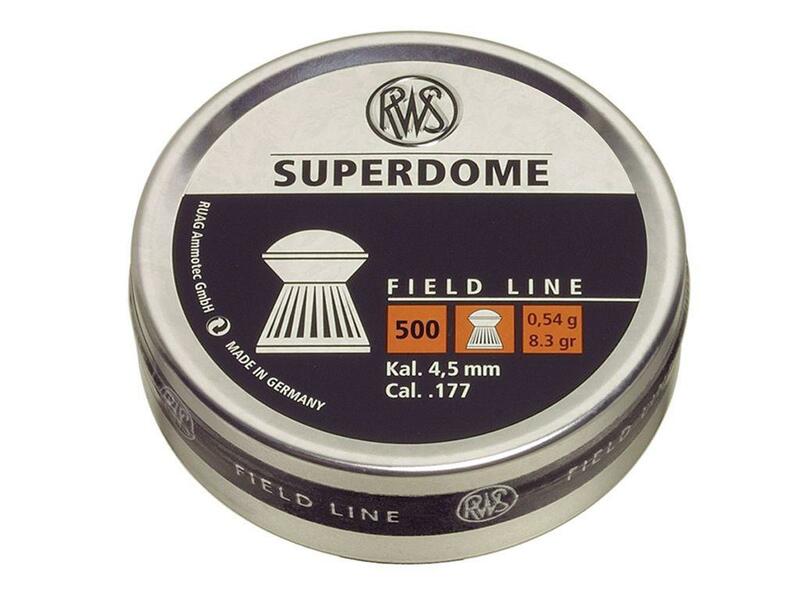 The RWS Superdome for air rifles and pistols is a great field line pellet with excellent knock down power that's great for hunting and target shooting with your airgun.